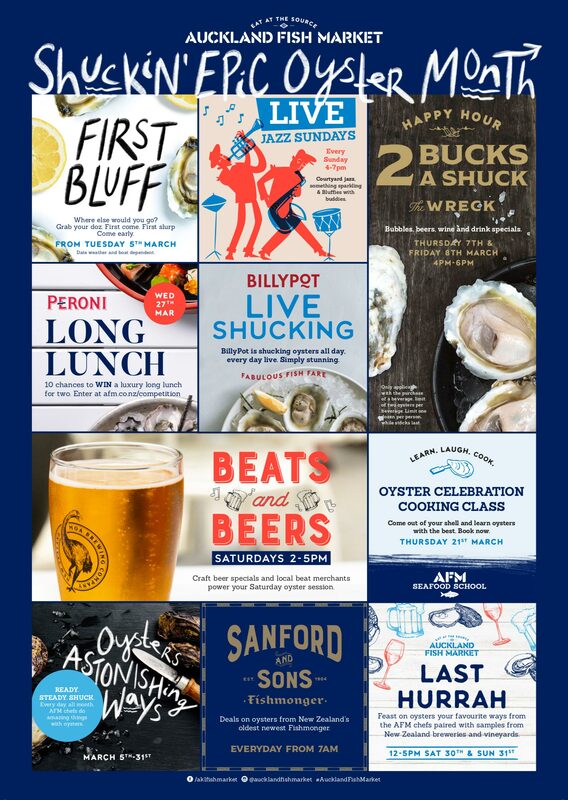 It’s all about oysters this March at your rebooted, renovated and totally re-done Auckland Fish Market. With a month of happenings and fresh flavours celebrating oyster season. Cut out the middle man and eat the freshest oysters of the season at the home of Auckland’s best and freshest seafood. It’s a shellabration of epic proportions. At Auckland cities oyster palace – the one and only Auckland Fish Market.